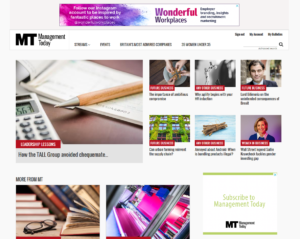 The TALL Group of Companies, the UK’s leading provider of secure electronic and paper payments solutions, has partnered with DIA Europe, providers of the Kappa cheque fraud prevention platform used by many leading banks, to create a new tool that is designed to strengthen the cheque industry’s protection against payment fraud. UCN Plus® – patents pending – will help to ensure that counterfeit, forged and fraudulently altered cheques are robustly and automatically trapped and rejected wherever possible. UCN Plus® enables the variable payment data – payee name, amount, date, etc – to be encrypted and hidden within a QR code printed on the face of all cheques issued by the TALL Group on behalf of its cheque bureau customers. Once the recipient has deposited the cheque, Kappa’s profiling and matching tool alerts the issuing bank to any mismatch, and customers can review the item before committing to pay, and still remain within the new two-day clearing cycle. This reduced clearing cycle forms part of the Image Clearing System (ICS), which was officially introduced across the UK last October. 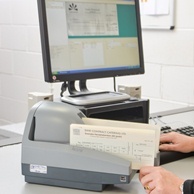 As part of ICS, cheques are now digitised at the point of deposit, and are no longer to be transported during the clearing process. The paper document has no legal value once imaged and that image transmitted into the infrastructure, so the integrity of the digital image becomes fundamental to its use as the ‘instrument’ to achieve the funds transfer. This new system requires the use of Image Survivable Features (ISF), such as UCN Plus®, to protect against fraud. Overall payments fraud fell by 5% in 2017 compared to the previous year, however the total figure still stood at £731.8m. This is despite £2 in every £3 unauthorised fraud being stopped that year. 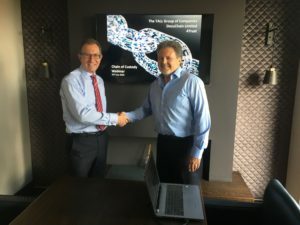 The TALL Group of Companies, the UK leader in the provision of secure paper and electronic payment solutions, has been appointed authorised distributor and service partner to sell and support Olivetti banking products in the UK and Ireland from specialist manufacturer Olicom, the new owner of Olivetti banking & postal specialised printers. The strategic partnership has been designed to provide the banking and financial sector with improved access to these innovative printing solutions. Olivetti’s range of passbook printers has technologically evolved over recent years by incorporating enhanced functionality, such as the ability to capture debit and credit card details, as well as ID cards. In addition to the most well-known Olivetti PR2 and MB multifunctional printers in the world, one of the company’s most popular products is the open frame Olivetti A600K, the only scanner that combines a cheque reader (MICR) and document scanner in one single device, which can seamlessly integrate into self-service kiosks and ATMs. Its small footprint allows self-service systems to be upgraded at a low cost and it has been successfully implemented on a large scale by major ATM vendors as part of important branch transformation projects. The TALL Group of Companies, the UK leader in the provision of secure paper and electronic payment solutions, has been appointed as an authorised sales partner by TCS iON, a strategic unit of Tata Consulting Services (TCS). This strategic partnership is to enhance the coverage of TCS iON Digital Records Platform across UK, Ireland and a nominated list of African regions. TCS iON’s extensive experience in the education and assessment segment will provide the strength to TALL Group’s evaluation and identification products. The TALL Group, a Queen’s Award for Enterprise: International Trade 2018 recipient already enjoys an established position in the university sector, primarily delivering secure and fully personalised degree certificates. iON Digital Records Solution helps universities leverage IT to smoothly manage the end-to-end certificate issuance process. This encompasses activities ranging from digitising student records, issuing and printing student certificates, performing digital verifications- all in a secured, organised, and a cost-effective manner. The solution digitises student records using digital encryption technologies to provide on-demand digital verification processes, issue certificates, and ensure strict data security and integrity. The staff of The TALL Group of Companies are delighted to receive the Queen’s Award for Enterprise: International Trade, presented by Her Majesty’s Lord-Lieutenant of Cheshire, Mr David Briggs, at its Runcorn Head Office on Tuesday 2nd October 2018. 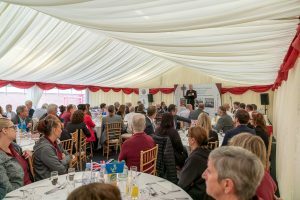 The event to mark the occasion was attended by the Lord Lieutenant, local dignitaries, founding shareholders and staff from the three TALL Group sites, together with representatives from the DIT in the North West. The TALL Group of Companies, a leading supplier of security print and secure electronic payment solutions, received the export award for its export sales of security print products. These include ballot papers and voting lists for National and Regional Elections, Treasury documents and certificates, cheques, drafts and dividend warrants, and a wide range of fully personalised and highly secure degree certificates for many prestigious international universities. The TALL Group of Companies is the only company within the security print sector to win its second Queen’s Awards for Enterprise, with its first awarded to Checkprint Limited, a Member of the TALL Group, in 2005 for innovation. 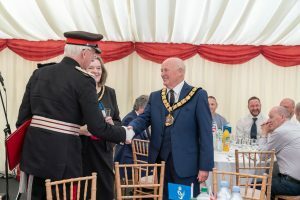 The Lord-Lieutenant of Cheshire was joined by the Mayor and Mayoress of Halton, Councillors John and Marjorie Bradshaw; Chief Executive, Halton Chamber of Commerce & Enterprise, Rachael Owen; and DIT Head UK Regions North West, Paul Stowers. TALL Group Managing Director, Martin Ruda accepted the ceremonial certificate on behalf of all TALL staff, and TALL Group Export Manager Cas Amato was presented with the Queen’s Award trophy for his part in international trade. 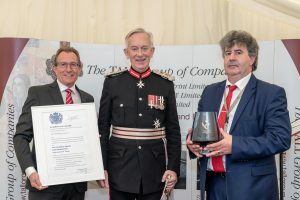 The Lord-Lieutenant of Cheshire, Mr David Briggs said: “My congratulations to The TALL Group of Companies for winning the Queen’s Awards for Enterprise in the category of International Trade. Only 15 of these awards were made in the North West in 2018. Indeed, this is the second time that one of The TALL Group of Companies has won a Queen’s Award. Each founded over 25 years ago, TALL Security Print Ltd, Checkprint Ltd and DLRT Ltd together form the TALL Group of Companies. Based in Runcorn (Cheshire), Hinckley (Leicestershire) and Lisburn (Northern Ireland) respectively, the Group employs over 150 people dedicated to secure print and payments solutions. Faced with the decline of its core business, the UK’s leading cheque printer has had to seek new avenues. If someone told you could corner the market for bankers’ cheques in 1991, you’d have been fairly pleased with yourself. We’re always going to need cheque books, right? But then the internet happened, and for cheque book manufacturers like the TALL Group, conditions suddenly looked less rosy: over the last two decades, the volume of cheque usage has declined at 15% a year. Yet through a strategy of diversification, innovation and internationalisation, TALL has not only been able to survive, but thrive. 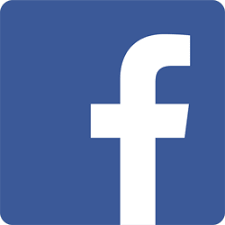 It’s remained profitable over the last 10 years – except for an operating loss in 2011 following exceptional costs. The group posted a bumper profit in 2016 – driven largely by the acquisition of the Northern Irish based DLRS (now DLRT Ltd) – which it has maintained every year since. 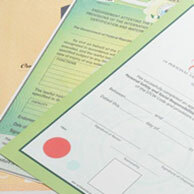 The three company group has been specialising in the production of secure documents, cheques and credit slips for over 25 years and counts ‘nearly all’ of the major UK banks and building societies as well as a swell of corporates, educators and national governments among its diverse, but specialised list of clients. This diversification has been two-fold, focusing on areas closely aligned to its core product. The decline of physical cheques does not mean a decline in payments and the company has invested heavily in developing technology that facilitates the transaction of all types of payment. It has rolled out an outsourcing solution whereby it prints, audits and distributes cheques on behalf of clients, while the development of cheque scanning software solutions continues to represent a fruitful opportunity. 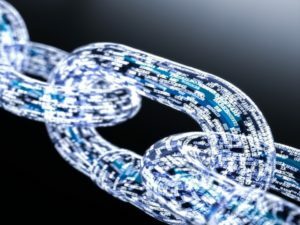 It is now investing heavily in building products supported by blockchain technology. 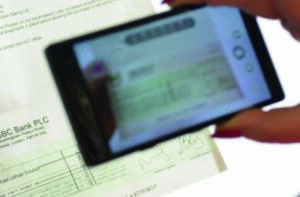 In the realm of physical products, the inbuilt security holograms or features and sequential numbering included on cheques are also used on a variety of other types of document including birth certificates, exam results and ballot papers. The fact that the company already had the inbuilt production processes has made it easier to double down into these markets, which have proved to be particularly effective as an export. International expansion has also been a major part of the group’s growth strategy – and the area that it has arguably seen some of its the greatest success. 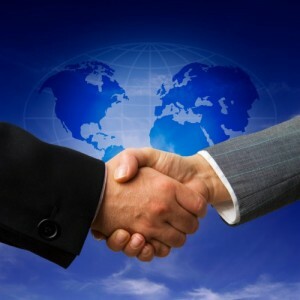 Having had a largely native client base, the company recruited an experienced export manager in order to identify new opportunities in international markets, government applications and education markets. Ten years later, it now exports to over 20 countries and was awarded the 2018 Queen’s Award for Enterprise in the international trade category. ‘Where our opportunity lies is in challenging emerging markets,’ says Ruda, explaining how the Group has been able to attain significant custom outside of Europe, in regions including West Africa, the Caribbean and the Middle East. But it hasn’t all been plain sailing, the ‘volatile’ nature of third world markets can be unpredictable and demand for TALL’s products can differ dramatically year on year. For example in 2016 the company was required to produce 20 million ballot papers for the Ugandan election, whereas in other years a similar order may not be required. As a result the company say that international exports can range anywhere between 10-25% of the annual turnover. The biggest challenge is ‘understanding and foreseeing the technology shifts that will increasingly affect all of TALL’s markets. Up to two million cheques are still processed every working day, but big changes are on the way. The nationwide UK roll out of truncation technology – which requires all cheques to be electronically scanned – will change the nature of TALL’s product, but continues to hold increasing opportunities, especially in the innovation of the security features that survive the scanning process. Ruda admits that the business has been able to increase its share of a heavily regulated market due to the limited number of accredited competitors, which has only gotten smaller as the market declined. But TALL’s success shows that those with an innovative strategy and willingness to adapt can ensure survival in the most difficult markets. The Hinckley-based company has been shortlisted in the ‘Excellence in International Trade’, ‘Business Improvement Through Technology’ and ‘Small Business of the Year’ award categories ahead of the Awards Dinner on 21st September in Leicester after being nominated in the East Midlands Chamber of Commerce Leicestershire Business Awards 2018. The three awards pay tribute to organisations that have excelled in the field of international sales growth and development; the use of science and technology to drive businesses forward; and to recognise those SME’s who have excelled through innovation, staff development and growth. Finalists have also been selected and judged on the quality of their products and services, their dedication to sales performance, innovation and the sustainability of their business. Checkprint’s Hinckley site, whilst remaining a key print resource within the TALL Group, has also seen major investment in new IT equipment and infrastructure to support its new cheque imaging product line extension. 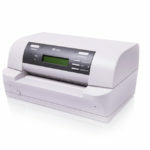 The company has – through major contracts with several major banks – already provided over 5,000 cheque scanners into the new imaging market sector both in the UK and overseas. The nominations follow news earlier in the year that the TALL Group had been accorded the Queen’s Award for Enterprise: International Trade 2018 for its outstanding international sales growth boosted by input from Checkprint and the other TALL Group companies.